When I posted my February calendar last week I promised a cupcake related giveaway—well here it is! 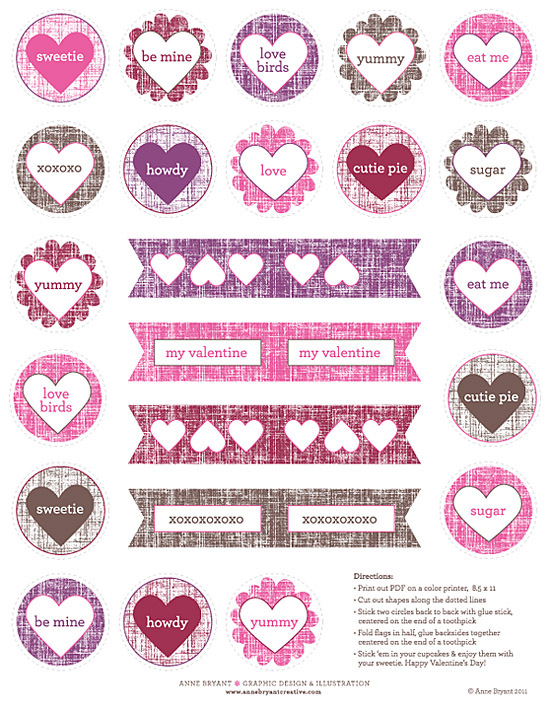 I designed these easy to make toppers that you can download as a PDF and print to make your Valentine Day celebrating even more fun. I printed mine on plain white paper, but they would work on any light colored paper—pink or a natural colored stock would look great.